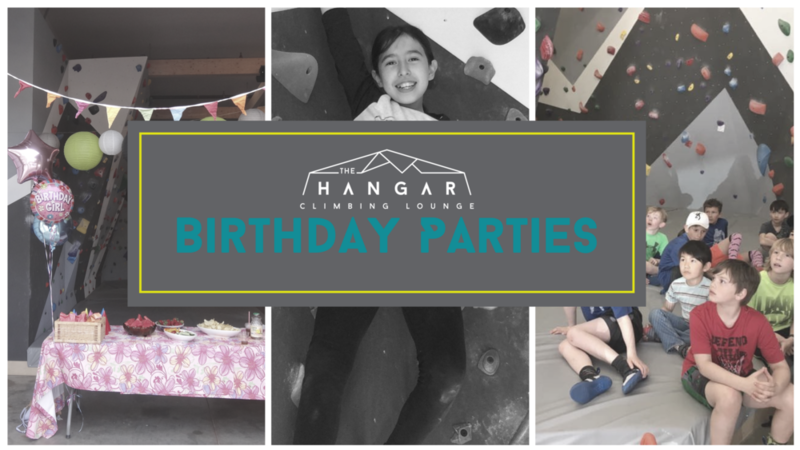 HAVE YOUR BIRTHDAY PARTY AT THE HANGAR! Let us do the clean-up, all you need to bring is the cake! Kids ages 7 and up will have 1.5 hours of climbing time with a staff member supervising and guiding them through games and bouldering basics. You will have use of our grand party table area. You are welcome to bring food & decorations. Spice up your Birthday party with some digital gaming fun. Randori allows us, to project fun games onto the wall for you to interact with. BIRTHDAYS CAN BE BOOKED IN AS A GROUP OF 6 KIDS OR 12 KIDS. $150 for a maximum of 6 kids.